Beijing-Hangzhou Grand Canal flows through the Xuzhou, then Pentium down into the Chinese liquor of Suqian. 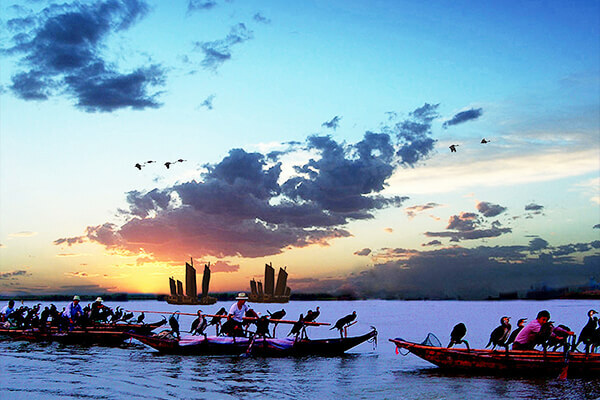 With the Grand Canal flows in Suqian territory from the South and North, not only brought the north and south water transport facilities, but also left a rich cultural heritage, let us take a look at what are the famous Suqian scenic spots. 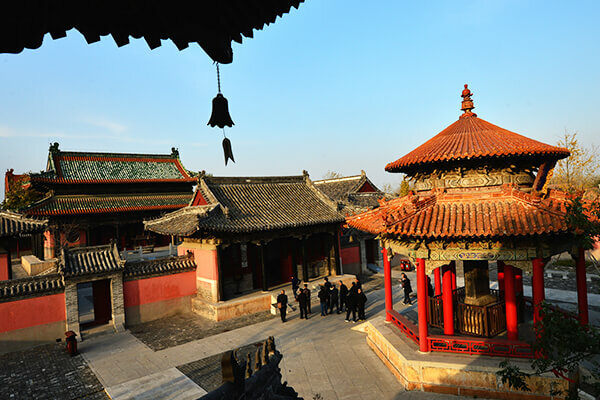 The Dragon King Temple Palace located in the ancient town Zaohe. 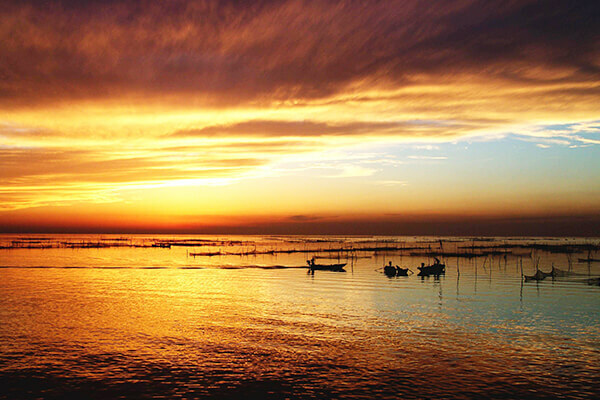 It is famous because Emperor Qianlong stayed here several times when he made inspections of the south Yangtze River. Since the Qing Dynasty,the Zaohe River Dragon King Temple Fair has been held on the eighth, ninth and 10th days of the first lunar month every year. During the temple fair, the temple is packed with people to pay homage to the Dragon King, making it rank first of the 36 temple fairs in terms of joss sticks and candle burning in North Jiangsu. Built along the section of the ancient Yellow River,the scenic belt starts from Tonghu Avenue in the south,extending 15.5km.The tourist attractions along the scenic belt include the Yellow River Park,Riverside Park,Water Landscape Park,a winding bridge,Observation Terrace and Angling Terrace.Walking along the Yellow River Scenic Belt,tourists will feel as if they entered a fairyland with fresh air,chirping birds,fragrant flowers and green trees,showing ecological beauty. Hongze Lake Wetland Park is a national nature reserve. Entering the scenic zone, tourists will feel close to nature in this wild adventure. The wetland is home to a wide variety of animals, including 91 types of sea animals which fall into 63 categories and 35 families;67 varieties of fish;and 194 types of birds, which fall into 44 families and 15 categories. In addition, there are places to exercise, such as the water tennis court, sandy beach volleyball court, wetland golf training course, karting competitions, and counter strike Base. Yanghe Blue Classic Liquor series is a high-quality product developed by the Jiangsu Yanghe Brewery,including three brands–Dream Blue,Sky Blue and Sea Blue.Brewed by the 100-year-old cellars according to the experiences of the past hundred years,the brewery now offers 38 degrees,42 degrees and 46 degrees of Yanghe liquor,and can make appropriate readjustment according to the demands of customers.On the basis of preserving the traditional characteristics of Yanghe liquor,which is sweet,soft,gentle,pure and scent,the Jiangsu Yanghe Brewery has put stress on creating the unique soft,light and exquisite style.